Our fires provide an attractive, efficient and environmentally friendly way to heat a home and include a range of coal effect flueless gas and electric fires as well as traditional wood burning stoves. We have access to fires in a range of styles, from realistic to contemporary, some of which can even be controlled by remote! We can also supply gel and catalytic fires for those wanting a real flame fire but who don’t have access to a flue or chimney. DHS are a vendor independent Bristol-based firm, and have no affiliation with any manufacturer, allowing us to always find the best fire for your home at a highly competitive price. All of our engineers and fitters are Gas Safe registered (the replacement for CORGI registration) and our fires have all undergone the appropriate testing and safety rating. If you are looking to replace an old fire, add a contemporary fire, or add a fireplace into a room, call DHS today on 0117 924 7200 for advice and a free, no-obligation quote. With a selection of modern and traditional designs, electric fireplaces now resemble real fires and can proudly be the focus point of any room. 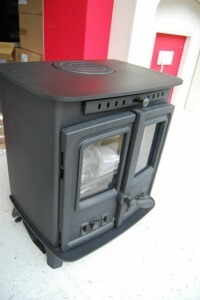 Today’s electric fire is efficient, reliable, economical, and easy to install, especially as it does not require a flue. DHS offer a wide selection of modern, contemporary and traditional electric fires and electric fires to suit the tastes and budgets of Bristol homeowners. We offer full supply and installation. Flueless gas fires offer a combination of convenience, efficiency and safety. The catalytic flueless fire incorporates modern technology that passes fumes through a catalytic converter, which converts the harmful gasses into water vapour and carbon dioxide. These superb fires can now be installed almost anywhere within the home, as long as there is a gas supply and the room has suitable ventilation. 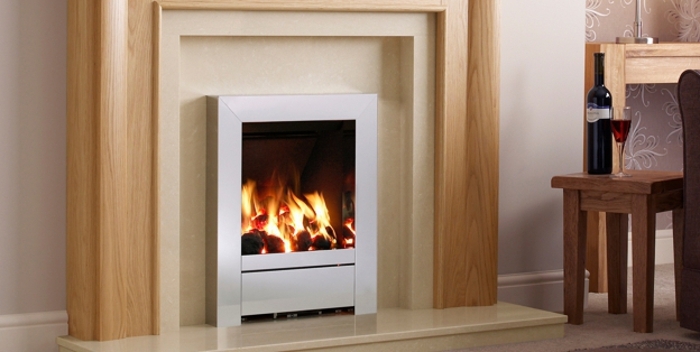 Fires are available as freestanding, inset or wall hung, so are suitable for any requirement. 100% of the heat generated by a flueless gas fire goes towards heating the room, producing over three times more heat per kilowatt compared to a flued gas fire and over twelve times more heat that a decorative gas fire. 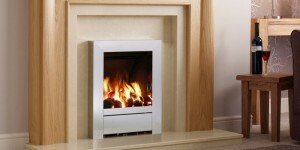 Fitting a flueless gas fire is a simple and problem free operation when carried out by a Gas Safe registered engineer. Flueless gas fires do not have to be installed on an outside wall, so can be placed in any room within the home. As no flue is required, homeowners can save thousands of pounds by not building a new chimney or restoring a condemned one. Installation is simple, only requiring the fire to be connected and tested and an air vent fitted. If the fire is being fitted in an open chimney, then the flue will also need to be blocked. Annual servicing for a flueless fire simply consists of cleaning the fire, checking the combustion, and checking for damaged components which is a service DHS are happy to provide.